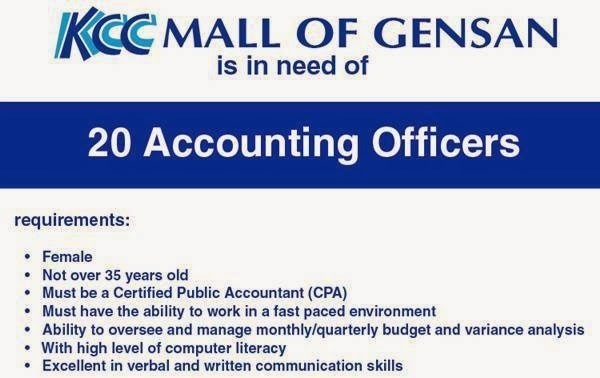 Be ready with necessary documents in applying for a job as KCC Mall of Gensan, one of the leading shopping destinations in General Santos City has announced more employment opportunities this first month of 2014. 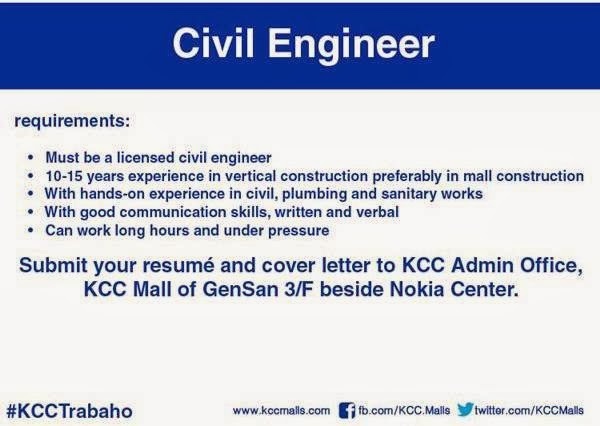 Below are the latest job openings at KCC Mall of Gensan as posted on it's official Facebook page. For those in South Cotabato particularly in the Municipality of Tantangan, KCC Mall of Koronadal is participating in it's celebration of the 4th Kulitangtang Festival and 53rd Foundation Anniversary. This is through a local recruitment activity which will be held on Monday, January 27, 2014 at the Municipal Hall Grounds of Tantangan from 8 AM to 5 PM. Apply Now!